Why waste time documenting databses by hand? 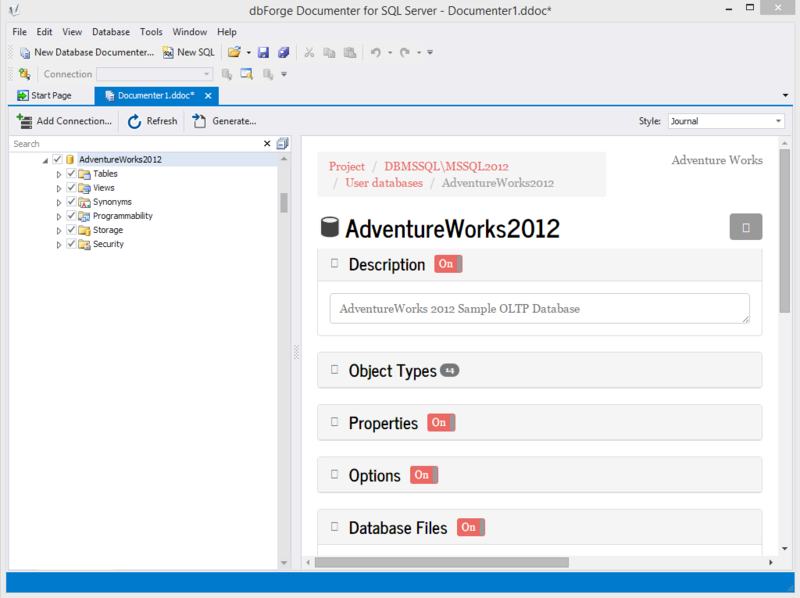 dbForge Documenter for SQL Server is a big time saver when it comes to documentation of SQL Server databases. 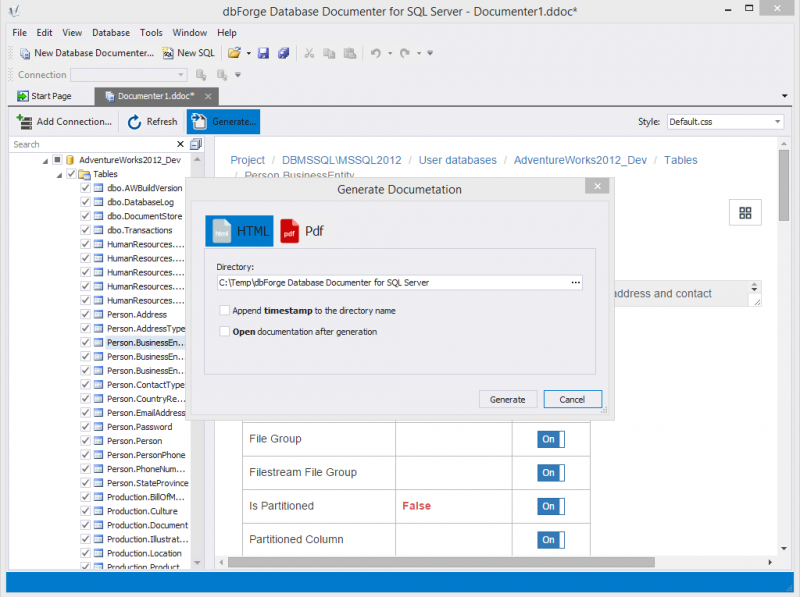 This tool automatically generates documentation of an entire SQL database in a few clicks. The tool includes a wide range of options to customize the generated documentstion to meet your specific requirements. Documenter extracts an extensive database info including a wide range of SQL object types, their details and properties, as well as inter-object dependencies and DDL codes. 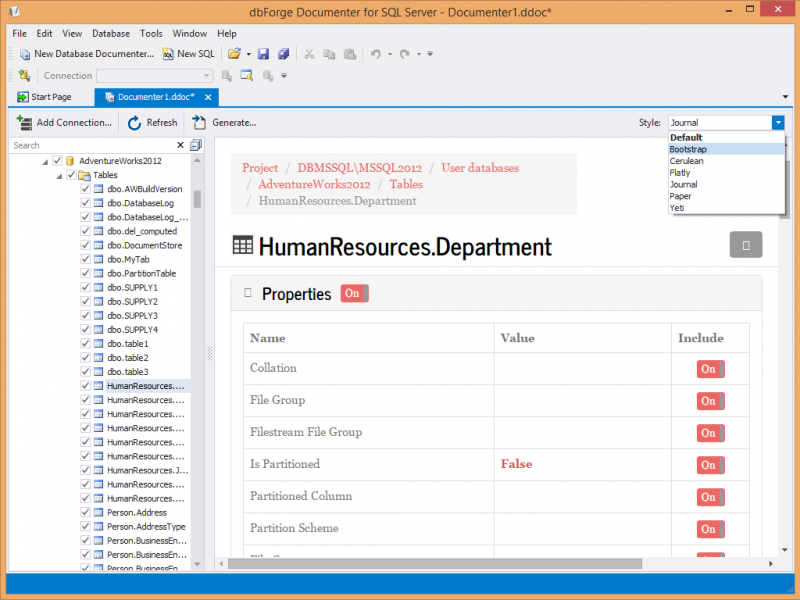 Documenter supports selection of individual database objects and their properties that will be documented. The tool also contains a rich set of style templates as well as allows changing documentation layout using various Bootstrap themes. 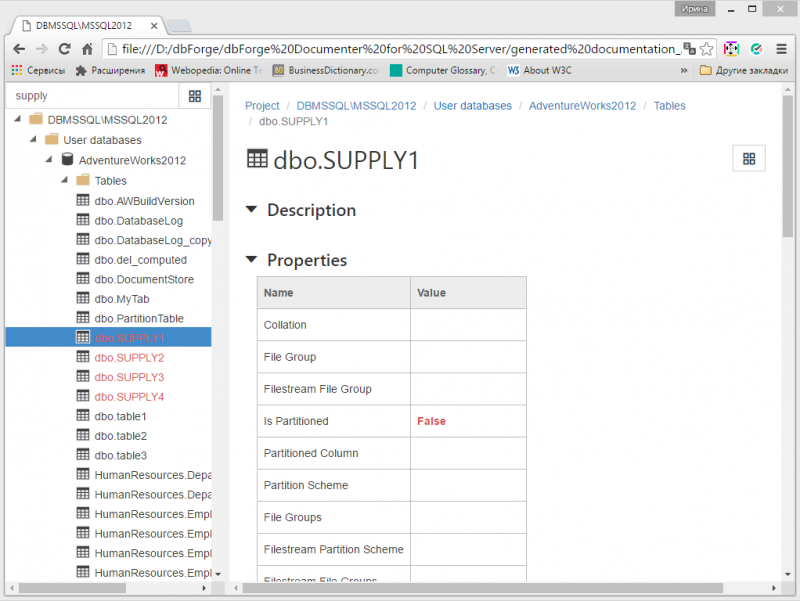 Documenter creates documentation in two file formats: HTML and PDF. The former is suited for for databases to be published on the web, and PDF is good for distributing to various systems and devices. Both formats are searchable, which is very convenient especially for large databases. 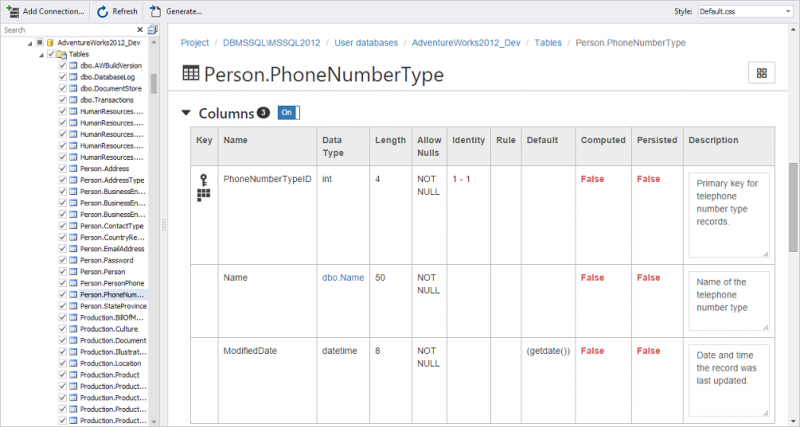 With MS_Description properties supported, you can add annotations to every SQL object including views, tables, columns, indexes, foreign keys, stored procedures, etc. Search across the generated documentation for database objects. As you type the name of a required object in the search field, Documenter highlights the matching text in the object tree. You can also navigate thoughout the documentation via build-in hyperlinks. 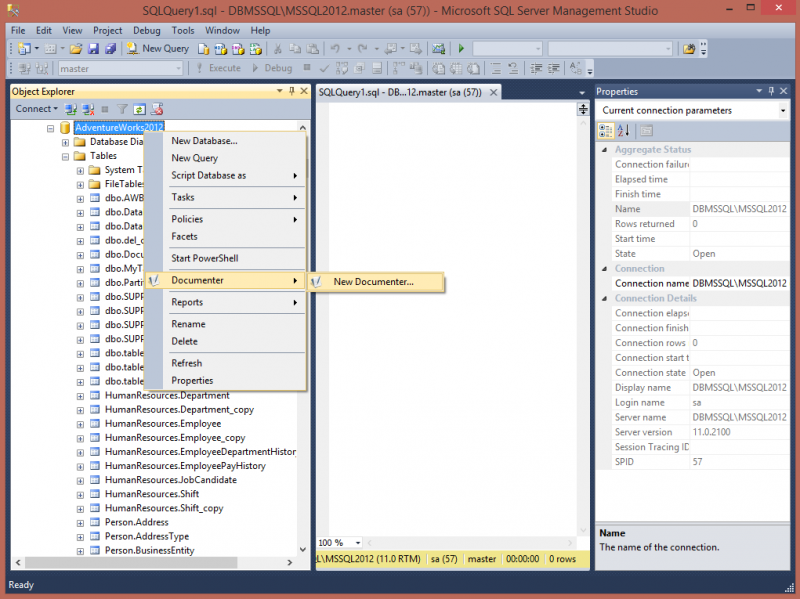 Documenter integrates seamlessly with SQL Server Management Studio (SSMS). Databases may be documented directly from the Object Explorer of your SSMS solution.